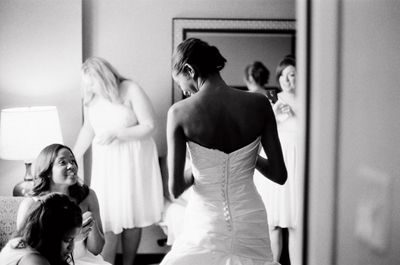 Weddings are special and usually accompanied by lots of emotion. It's my job as your photographer to document these moments in an authentic approach that best tells the story of your wedding. My style encompasses fine art, photo journalism and portraiture. I continuously study the art of photography because I believe my job as a photographer is to always grow. The Wedding Photography genre is a competitive landscape filled with photographers providing endless adjectives and jargon to describe their services and style. Trust me, I know it can be exhausting. My ambition is to deliver a set of images that stand the test of time. They say a picture is worth a thousand words, so ideally you don't need thousands of images of your wedding. Start to do the math and you end up with a whole lot of arithmetic and computer vision syndrome. I deliver a streamlined set of impassioned images that evoke the feelings and spirit expressed and shared during the day. Simple and precise. Less can always mean more. Current Service Offering and Pricing - please feel free to download my current rates, packages and service offering.